Terroir is central to everything at Montrose. It needs to be treated with respect, day after day, in order to express all its diversity. Each individual contribution, in-house or from outside, aims for uncompromising excellence. At the end of the harvest, the vineyard manager and technical manager meet to plan the winter‘s work, such as uprooting, replanting and fertilisation. Pruning is decided according to the results of the previous vintage, because pruning affects not only the shape of the plant over time but also, and above all, the future yield of each vinestock. Year after year, the vinegrowers are constantly shaping the Montrose vineyard. Pruning is complete. With the arrival of spring the vine awakens and budbreak begins: the buds open and small leaves appear, the shoots and leaves grow, the sap rises again. The temperature gradually climbs, accompanied by April showers. Growth is important and so is the work in the vineyard: the vegetation needs to be controlled and guided. The vinegrowers train the shoots. June is the time when the vines come into blossom. A fresh, flowery scent pervades the vineyard. Bunches form and the berries begin to swell. Since 2006, judicious leaf and crop thinning have enabled the grapes to reach full maturity in the best conditions. In August, the grapes start to change colour. They are ripening, in a long process that will last until the harvest. The harvest lasts about a month. It starts with the Merlot and ends with the Cabernet Sauvignon on the Great Plateau. The technical staff tastes the berries every day in order to decide which order to harvest the parcels in. All the grapes are hand-picked in open crates by an experienced team of pickers who have been coming to Montrose for several generations. 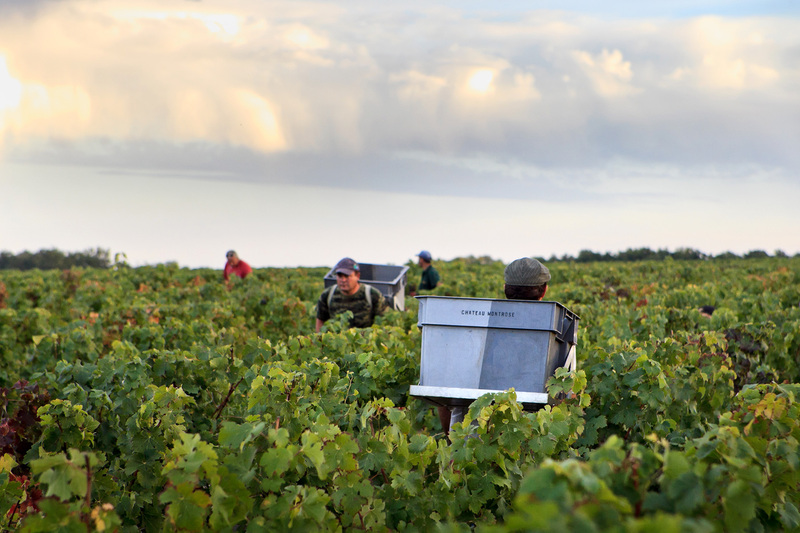 Every year for the past 40 years, over 70 pickers from the same village, Pruna in southern Spain, have come to Château Montrose for the harvest. 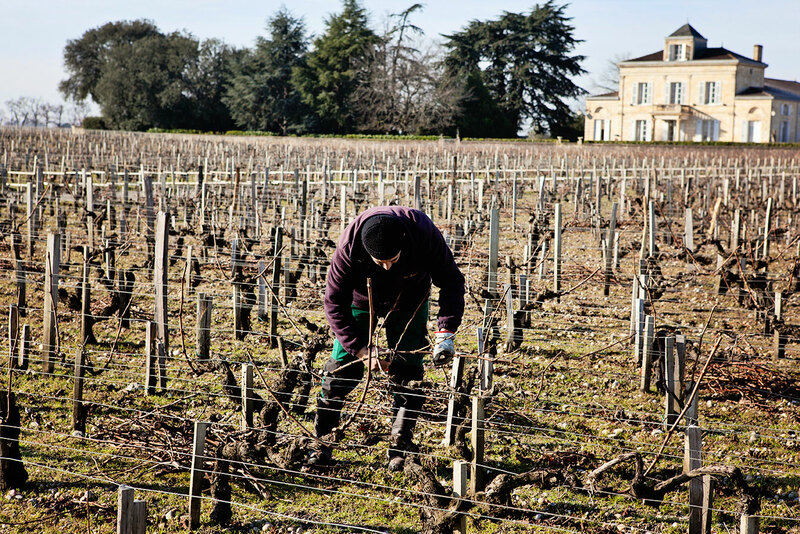 Housed at the estate for the duration, they complement the efforts of the Château staff with the precision and efficiency of their picking.